Sold. Out. This LE300 edition, reported here and here – gone in a flash. So it’s secondary-market-city for most of us…you may want to wait for a bit when Integrity’s new 2014 dolls start shipping, and the sold out editions start to press on demand, thereby realizing more reasonable prices. That, and those paying $900 or more right now won’t sustain when the W Club lottery hits…the price may drop before starting its way back up as the year progresses, and the doll becomes harder to find. 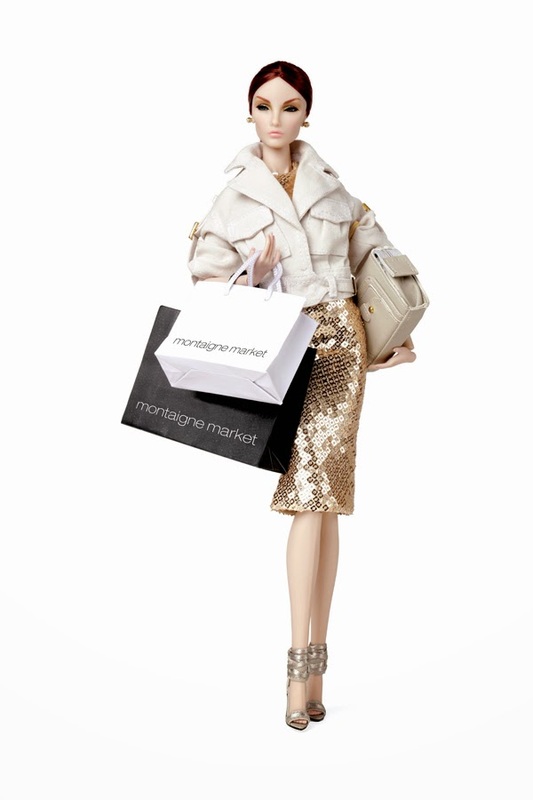 For those collecting Fashion Royalty dolls like this, others out there for Bergdorf Goodman, Colette and Jeffrey have strong secondary market prices (in fact, they are very hard to find) – and eventually so will Montaigne Market. But with a scant handful being held for lottery by W Club members, this opportunity isn’t quite over yet…so patience may be your virtue. Good luck to the W Club Members!!! Die hard collectors, get her now. Click the images below to take you to Integrity’s archive to learn more about each edition.